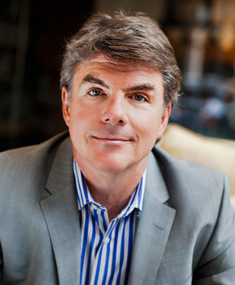 The Editor-in-Chief and formulator of The Bizzy Lifestyle, Tim O'Leary is the co-founder and Chairman of The R2C Group, one of the nation's largest independently-owned advertising agencies, whose secret mantra is "We sell people lots of crap they really don't need". An extreme capitalist and entrepreneur, Tim has founded over a dozen companies, and luckily enough of them have been successful that he has the time to pontificate in this blog and write preachy but sometimes insightful articles and books on marketing and management. He prefers to vote for the candidate and not the party, is alarmed at what appears to be a "stupidity epidemic" infecting the general populace, and only goes to tea parties where they actually serve tea. While he is an advocate of small government and the free market, he also thinks society functions a lot more smoothly if the majority of the population is healthy and educated – even at the public expense. He prefers scientists to soldiers, government by people and not multi-national corporations, and true separation of church and state. He particularly dislikes bureaucracy, complex financial instruments laden with fees, and Weasels. He's a big fan of fly fishing, Pinot Noir, yellow labs, compact fluorescent light bulbs, and his wife Michelle Cardinal. A gentleman farmer, he and Michelle also grow the world's most exclusive olive oil, Gallo da Combattimento Nero. He splits his time between Portland, Oregon, Santa Ynez, CA, and a secret compound in Washington state.